Hey kids, here's a surefire way to make your parents construct an advent calendar counting down the days until you go back to school next fall. 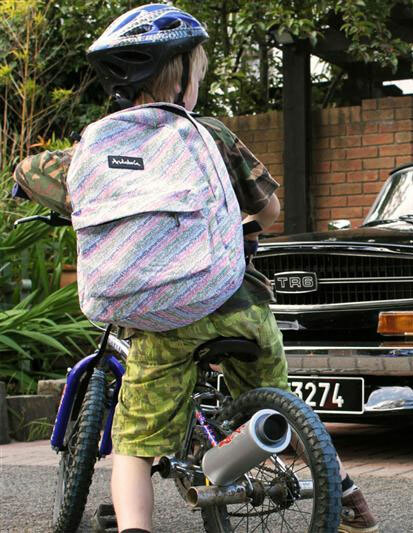 The Turbospoke system, a battery-free, pedal-powered child's dream, fits onto bicycle wheels 16" and larger to mimic the look and feel and Vrrrroooommmm! of a real motorcycle exhaust pipe. 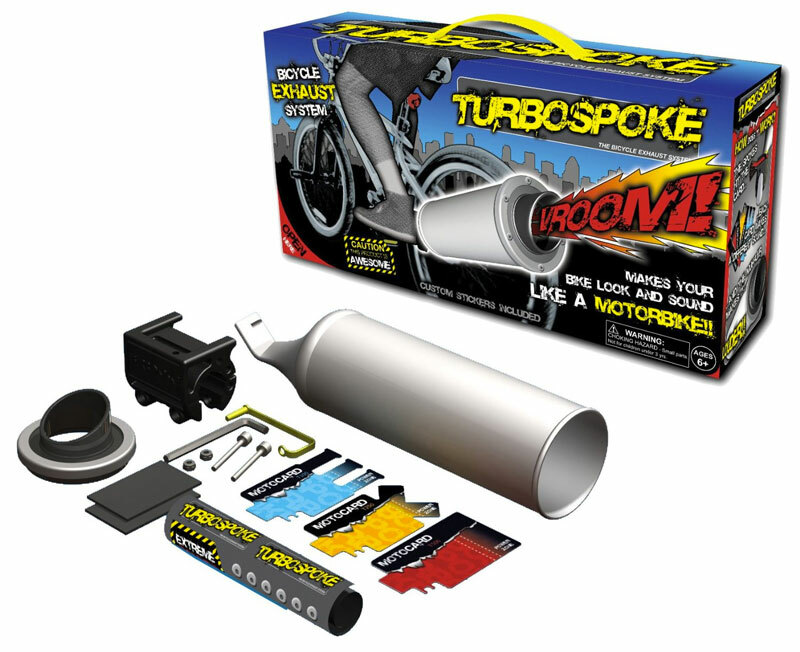 Turbospoke's thin plastic Motocard is responsible for its fairly authentic growls, which are amplified by the kit's also-plastic megaphone exhaust pipe. Adults suckered into assembling and installing the Turbospoke system will notice the Motocard's powerful sound effects actually come from a collaboration between it and the spokes of the back wheel it whips along smacking when the bike is in motion. Three Motorcards are included in the package, tuneable to generate up to 6 different sounds. 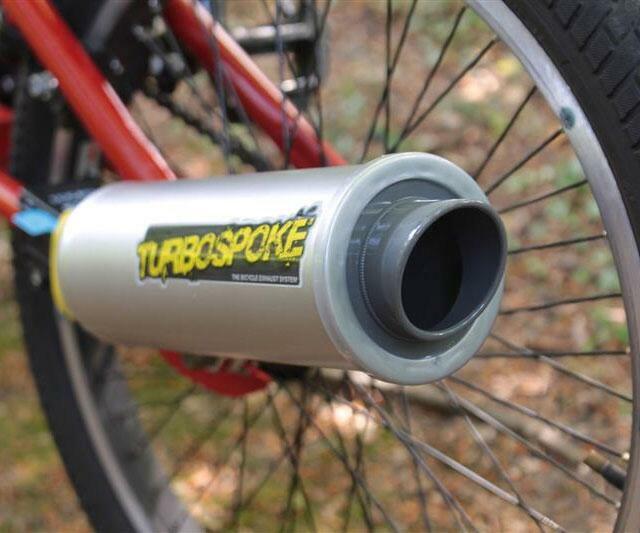 Other package contents: 15 custom Turbospoke decals, a universal fitting clamp (exhaust system fits 95% of bikes with 16+" wheels), and assembly tools. 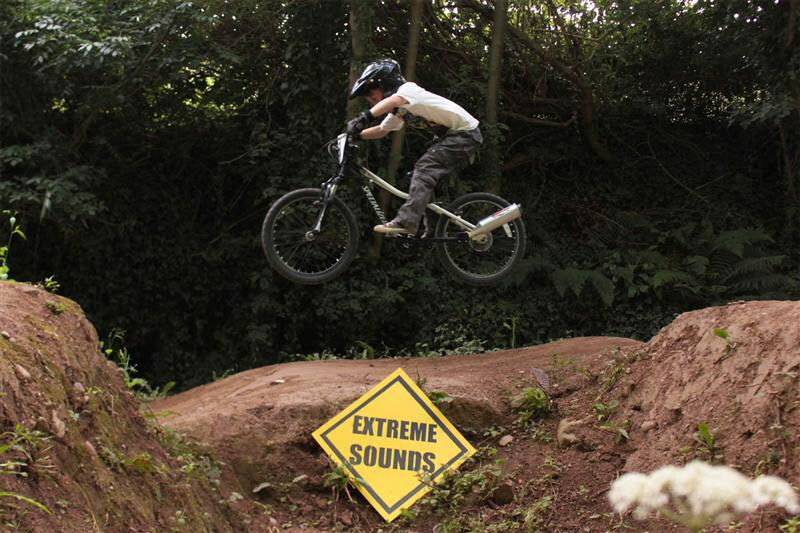 Turbospoke is recommended for kids ages 6 and up. 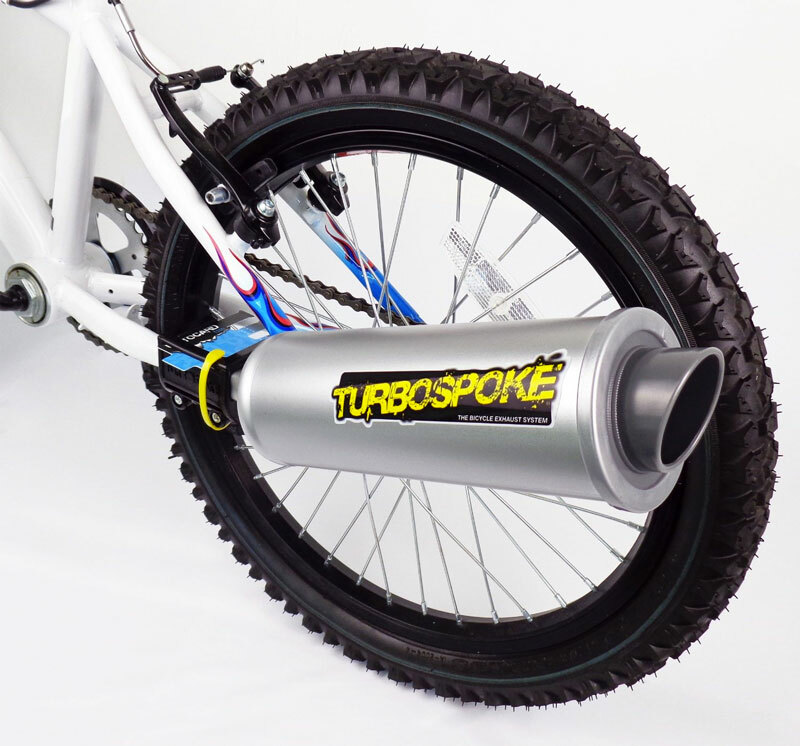 Turbospoke is a Dude Gift for Kids and Gift for Teens pick. Muchas danke to The Awesomer.